The chances of Neymar leaving Barcelona for Paris Saint-Germain this summer are as high as 90%, according to Sky Sports. The speculation linking Neymar with a transfer to the French capital has been dominating all the headlines lately. However, what started as a rumour almost everyone dismissed, has now turned into a genuine possibility, which has ended up shocking the world of football. 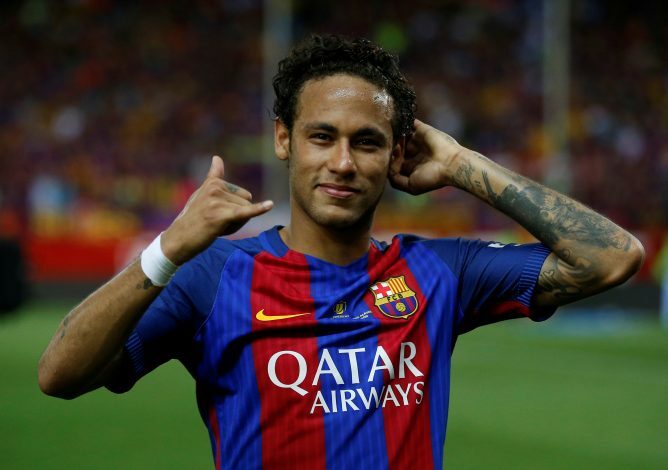 The Brazilian, who is adamant on leaving Barcelona to escape the shadows of Lionel Messi, seems to be on the verge of heading to Paris Saint-Germain for an unbelievable transfer fee, as the Ligue 1 giants are prepared to meet the mammoth €222m (£196m) release clause in the player’s contract. And now, the latest report from the reliable English news outlet has provided a new update that is all but set to sink the hearts of the Barca supporters. If these reports turn out to be true, we may witness one of the most sensational as well as the biggest deals materialise this summer – one that nobody would have seen coming at the start of the transfer window.